Penguin Random House is giving away two hampers, each containing copies of 2000 Family Meals and 2000 Healthy Meals, PLUS a R1000 voucher from Woolworths! 2000 Family Meals contains hundreds of recipes (plus variations) for every occasion. There are ideas for breakfasts, lunches, dinners and desserts. The meals have been chosen with families in mind and can all be made quickly, and easily be customised to suit the tastes of different family members. And with these family-friendly recipes, the children can get involved with the cooking too, learning to make their own ravioli or bake their first cake. 2000 Healthy Meals is full of delicious recipes that are designed to be healthy and low in calories. This is not specifically a diet book, but instead is designed to support and inspire those who want to watch their food intake, without having to count each calorie. The recipes are suitable for a range of different requirements including meat-free, dairy-free, low carb, low fat, low sugar and gluten-free. 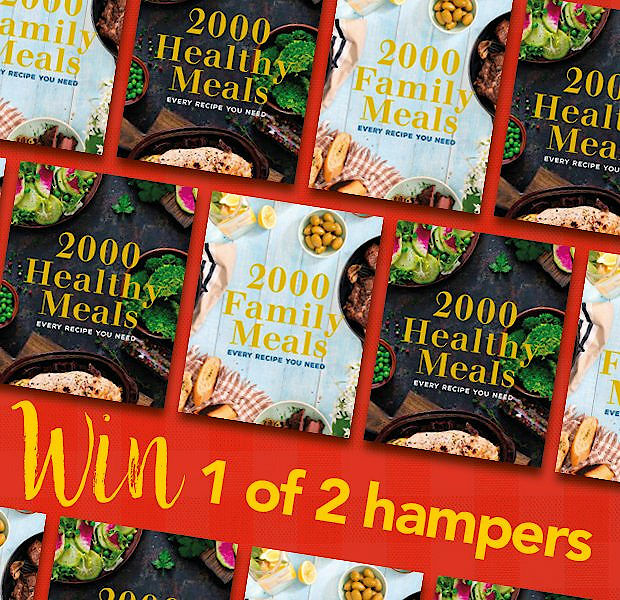 Two lucky winners will each receive a copy of 2000 Family Meals and 2000 Healthy Meals, PLUS a R1000 Woolworths voucher! To stand a chance of winning, simply complete the online competition form here. The cut-off date for entries is 28 February 2019.